In today’s day and age, it’s becoming more and more important to adapt to technological advancements to enhance fan experience. This week, we wanted to bring you a story on how the St. Louis Blues partnered with Pico to use their digital platform to increase their fan engagement in-arena this season. P.S. – Don’t forget to stay engaged with us on social media! Follow @NatlSportsForum on Twitter and Instagram and like us on Facebook! “The St. Louis Blues demonstrate the importance of leveraging technology to understand your fanbase. The Pico Platform allows the Blues organization to better meet fans’ needs while providing a unique digital experience.” Visit www.sportsdigita.com to learn more about Sportsdigita. The St. Louis Blues identified personal messaging as a new channel they can leverage to interact with their fans both in arena and at home. Increasing their reach means they can successfully deliver partner offers to every fan, not just those who are in the building attending the game. In turn, that increase in audience size raises the value of the activations. Previously, the Blues would either utilize the famous Blue Crew to manually distribute paper coupons containing their corporate partners’ offers or display offers on the in-arena signage and video boards. These are classic but often low converting activations. Now, through their partnership with Pico, the Blues have developed new initiatives that have proven to be more effective and engage fans in a more personal manner. The Blues utilized the Pico Platform to drive the activations through three routes: in arena engagements, out of arena via enhanced social media posts, and over the top/digital broadcast calls to action. Pico provided pre-built templates and frameworks of interactive games ready for partner branding. They include value-proven fan favorites like polls, trivia questions, and photo hunt games but with a twist. The Blues production staff also had access to Pico’s broadcast ready visualizations containing the collective results of these fans’ interactions. For instance, a leaderboard of the winning fans names or the live results of a poll. They are ready to stream to in arena video boards and the screens of virtually any fan around the world. This ability to draw fans in on the action, coupled with an incentive and a limited time frame, motivates their fans to participate. This also inspires competition and FOMO among fans, as they all have the same limited chance to compete for prizes through sponsored activations. Uniquely, this platform, which works over multiple social channels, including Facebook Messenger, Twitter, Instagram and Amazon Alexa also analyzes the responses and conversations for unique data points, and insights from this data allow the team to further personalize future interactions and sponsor offers for each fan. For example, last year Famous Footwear sponsored the First Goal Fan Challenge, which fans entered via Facebook Messenger. In this challenge they chose the Blue’s player they thought was going to score the game’s first goal. A branded graphic visualization with the live results of the activation was scripted into the pregame show, and in some cases, in game as well. Just for participating, every fan was given a digital coupon for $10 off a $50 purchase from Famous Footwear and if they won the challenge, they were given options to choose a more valuable like a player autographed prize. This was one of over a half dozen Pico powered activations that went live last season. The Blues now have a sizable pool of new sponsorable in game and at home inventory for their team to offer to their corporate partners. The Blues also gained the ability to offer their partners flexibility to sponsor anywhere from one game to a series to a full season and present their brand and offer to fans in ways that met their goals and provided trackable results of the fans’ interest in the offer. The Blues are also able to collect relevant fan data through these interactions. Retaining a highly engaged fan base is important to produce an ongoing stream of valuable data which is the fuel used to personalize these new digital assets. Through integration of the Pico platform into the Blues production and corporate partner strategies, the team was able to collect and analyze these interactions and use the insights and segment tags to increase the quality of the engagements and interactions with their fanbase. With the addition of new sponsorable “digital first” assets, the Blues improved the value of their partnership offers through the creation of campaigns that drove actual conversions for their partners. In fact, the click through rates on the personal offers increased throughout the season. Poling said that within three months of the implementation of the program, the Blues had completely sold out the 2017-18 season’s inventory of new in-game social activations. What’s more, the Blues recorded a surge in sponsor revenue from the eight partners that invested in the new activations. The Blues also successfully personally connected with over 10,000 fans who used Messenger to interact with the team. In addition, the Blues used Pico’s services to launch premium offers from their partners. Their goal was to personally engage fans and reward those fans for their loyalty and engagement with the team. In other cases, they delivered sponsor messages. One example was a reminder to fans to responsibly enjoy beverages from the team’s sponsors. Following the great success that the Blues have seen through just one season, they plan to grow off the momentum. Now that they have integrated Pico’s tools and service into their overall digital strategy. Poling mentioned that the 2018-19 season will look to increase levels of personalized communication. For sponsors, the Blues are looking to integrate more unique flights and package deals throughout the season. The Pico platform has enabled the Blues to understand their fans at a much deeper level. Focusing on each individual fan’s preference, the team has been able to deliver targeted content, merchandise, and partner offers that truly take advantage of new messaging communication technologies and bring more value to their partners and their fans. 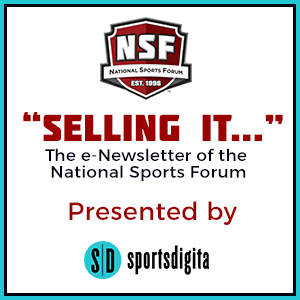 The National Sports Forum is the largest annual cross-gathering of the top team sports marketing, sales, promotions, and event entertainment executives from throughout the broad spectrum of teams and leagues in North America. 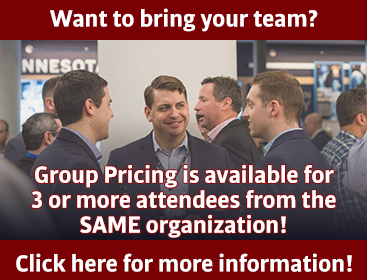 The 2019 NSF Conference and Trade Show will be held on February 10 – 12, 2019 in Las Vegas, NV. Visit www.sports-forum.com for more information. Daktronics offers the most complete line of integrated electronic scoring and display products available, including scoreboards for all sports and all levels of competition, and the latest programmable display systems that incorporate LED (light emitting diode) technology. Click HERE to learn more!